Today is a sunny day in November, very nice in its own right, but my mind wants to hold on to pleasant memories of summer wild flowers. 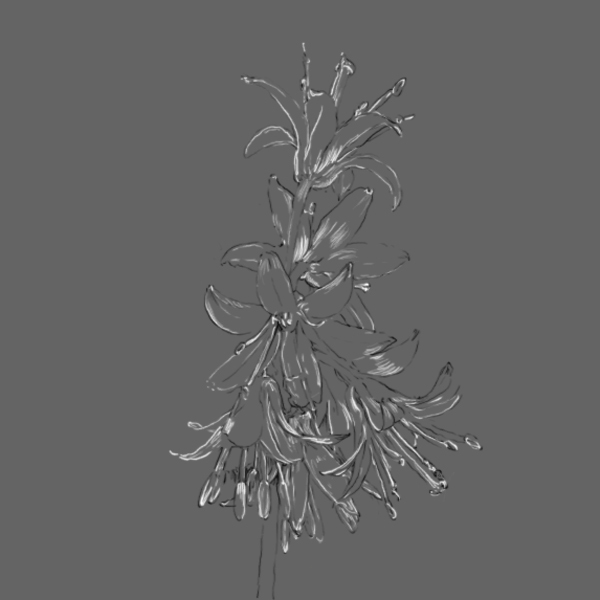 This drawing is of a lovely wild lily with small yellow flowers, variously called Clintonia, or Carrion flower, or Blue bead lily. The blue beads are the seed pods or berries of this plant, which are as startlingly bright a blue in the fall as the yellow is a shimmering chartreuse in the early summer. How wonderful to recall things like this. This study is really beautiful and captures a certain magic. The flower is so pretty. It is wonderful to recall the beauty of summer flowers :) Beautiful sketch.